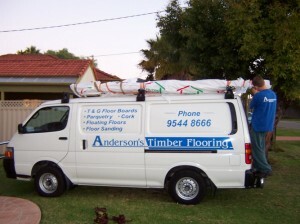 Anderson’s Timber Flooring is a family owned business with over 45 years of experience in the Timber Flooring Industry. Conveniently situated in the south of Sydney, we service the entire Sydney metropolitan region. We specialise in the installation of a variety of timber floor products including Strip Flooring, Parquetry, Floating Timber, Floating Laminate, Cork and Bamboo floors. Please browse our website to view the diverse range of products we offer. We have an extensive gallery showing the many different types of flooring we install as well as recently completed jobs. Please call our friendly staff with any questions you may have and it would be our pleasure to receive your call. We offer an obligation free quote, so please call us now on 02 9544 8666.